We thank our customers who are part of the SecurityPro family. Almost half of our business comes as a result of referrals and we greatly appreciate all that you do to help us continue to be a Top Ten ADT Authorized Dealer. Because of the support of our cherished customers, we had our highest ranking ever as the 9th largest ADT Dealer nationwide. There are currently 196 ADT Authorized Dealers, so it is a true privilege and honor to be among the best. Prior to 2018, we had won the 10th spot twice... so we were thrilled to have our best ranking ever. 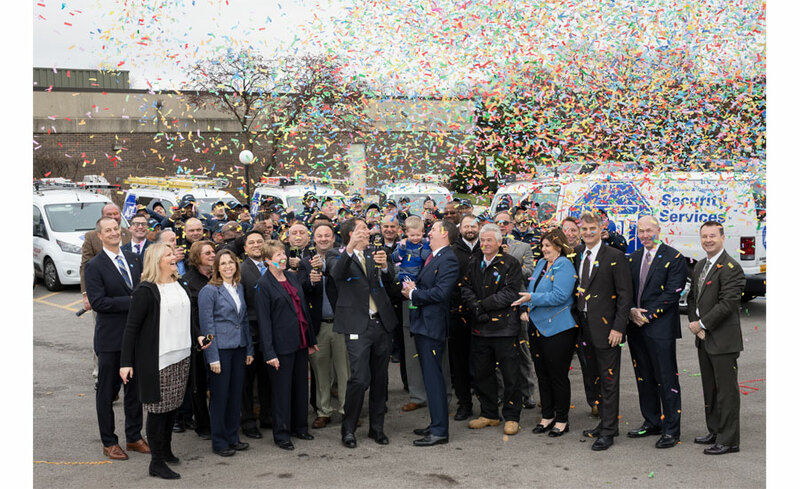 I recently attend ADT's Dealer convention and the most impressive part of the event was learning about the transformation ADT has made in customer service. As an ADT Dealer, over the years the customer service of ADT as a national company has been weak at times. Although the the monitoring service centers for alarm events have always been quick to respond, getting a customer service representative to help you for billing or a service call often took way to long. We had to tell our Security Pro customers to call us if the ADT Corporate is not giving them the service they deserve. 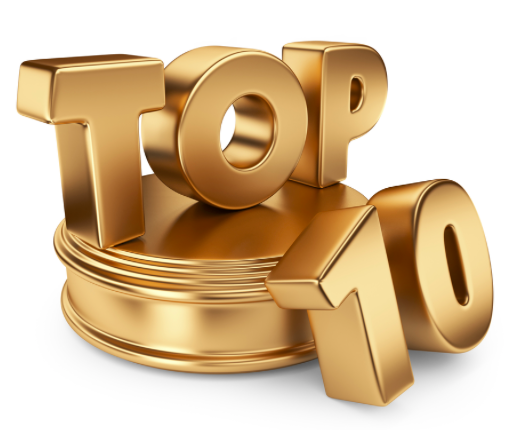 Which of the Top Ten Home Security Companies Should You Choose? When looking into your options for the best, top-rated security company in California to protect your home or business there are multiple things to consider. 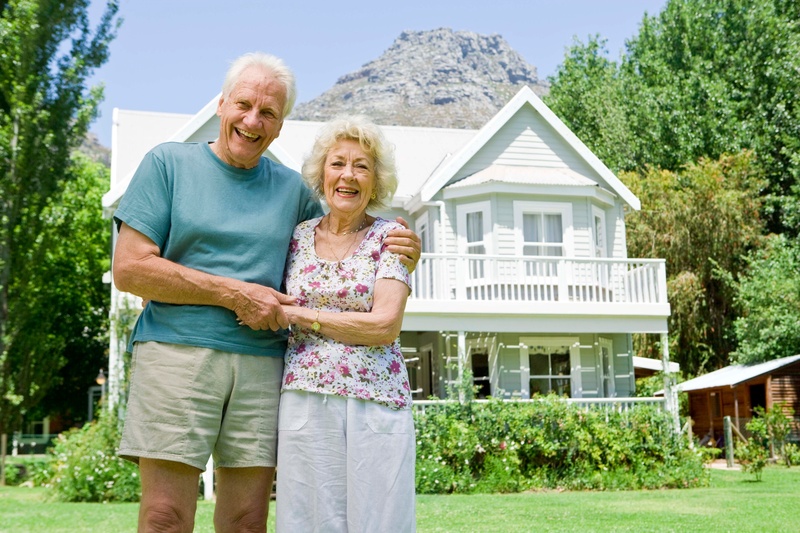 Where do you find all the information you need about Home Security and then all other things to do with security? Whether you are already a California Security Pro customer or you are in the market for a security system, you'll find the latest on all things security when you join our on-line community. 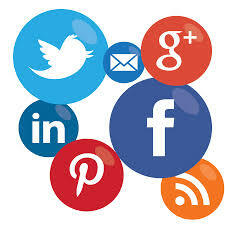 Wherever you spend your social media time, California Security Pro is your ticket to the latest in home security products, security tips for your home and family, and your connection to trends in your community. See reason #2 below for details on our on-going Facebook Contest and and click here to refer a friend and be rewarded with a $200 referral reward.. It's 3am, you awake to the sound of breaking glass followed by silence. Even laying still, your heart is doing the Indy 500. Adrenaline stores up, you're ready for flight, you're ready for fight. The adrenaline actually sharpens your hearing. Then there's nothing. For 10 minutes, there's nothing but a distant dog barking. You still can't get back to sleep, someone's waking up to a broken something, you hope it's not you. You go secure the house, check the kids, peek outside and make sure everything is okay on your property. There's no rolling back over and drifting into sound sleep tonight. Neighborhood gossip alerts you that was John & Marie Poblanski's house. Some creep broke the glass and grabbed some electronics and a marble elephant. Luckily no one was hurt... this time. It's time to get alarm system. You think, "Who do I call?" Is the purchase of ADT good for ADT? If ADT's stock price raising about 50% is any indication... it was AWESOME for ADT!!! Check out video from USA Today. It's exciting news that ADT was purchased by Apollo Global Management. 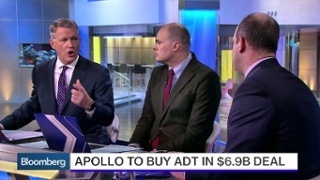 Apollo buying ADT shows how valuable ADT is as the leader of the security and home automation business. For the time being it will be business as usual at ADT but by mid year of 2016 ADT will merge with Protection One that is owned by Apollo. This merger will continue to add to ADT being the superior choice of homeowners and businesses for monitored security, video surveillance and home automation. If you're not familiar with Angie's List, they're a membership based third party review site that connects you with the BEST local contractors in your area. 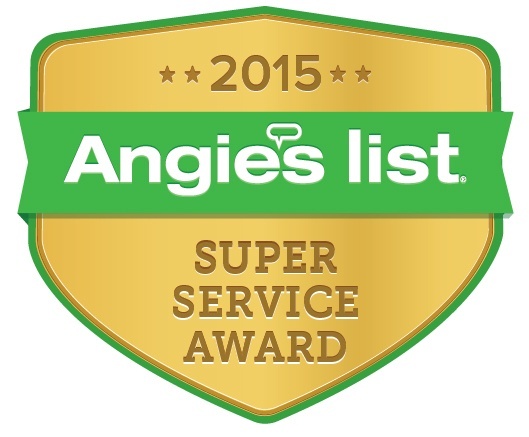 We are completely honored and humbled to be awarded the Angie's List 2015 Super Service Award for the Alarms category. Again a very large THANK YOU and a huge cyber-hug is flowing through the Wi-Fi right at you. We know life is busy and we appreciate the time you spent to grade our company and write such fantastic customer reviews! We are very proud and grateful to receive this award. Welcome to fall! 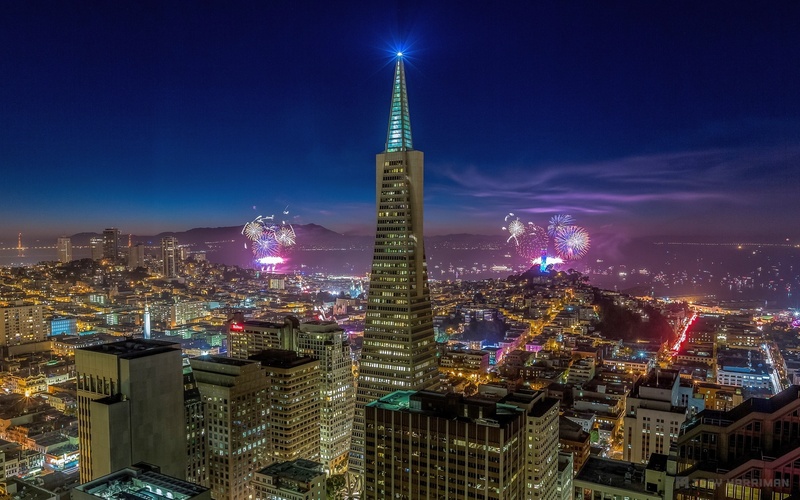 If you are a San Francisco resident, you know it's an amazing time in the city to be outdoors events calendars are packed with events. After the record heat, fall brings not only everything pumpkin (YUM!) but also cooler evenings, Perfect for a night on the town or just a long evening stroll. If you’ve ever wanted to live the renegade life of an undercover spy assassin, now’s your chance.StreetWars is a nearly month-long immersive tournament you play all while living out your daily lives. Join as a team or solo to “kill” at least one enemy combatant per week with designated weapons (water guns, water balloons, your deadly good looks). For more info go to http://www.streetwars.net. If you missed this year, sign up for notifications for next year and find other incredible and low cost events at fun & cheap San Francisco. And if part of why you live in San Fran is because you love food, make sure to check out the top 40 food festivals in the city. See it here. whether it's seafood, steak or beer, you can tickle your taste buds' here. (Beer's a food right?) check back anytime of the year to see what great festivals are going on. With many things to do, we have no choice but to trust that when we leave our homes, that everything will still be there when we get back. However, that is never promised and if you don't secure your San Francisco home with an ADT Home Security System, you are taking a chance every single time you step out. Unfortunately, many people wait till they've become victims of burglary, to realize the importance of an ADT home security system. A wise first step is to stay informed of what's going on in your neighborhood by checking out the San Francisco crime page. What a beautiful spring it has been! We have reached the beginning of May and I am sure that you can all feel that summer is right around the corner here in Los Angeles. The end of spring brings lots of fun and exciting summer adventures, family vacations, summer camps and so much more. While Los Angeles is a hot summer destination for much of the country, it is your home!What could be more exciting? ADT just started to do "Dealer Spotlights" about ADT Authorized Dealers around the United States and Canada. It is with great honor that California Security Pro was chosen to be the first ADT Dealer to be profiled. ADT is working to create better collaboration between the direct channel of ADT and the ADT Dealer network. 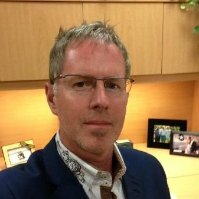 Below is the question and answer of California Security Pro's Dealer profile and some thoughts to help new ADT Dealers and sales teams.